When it comes to hair care products, I have to say that I’m just simply overwhelmed with all the options on the market. 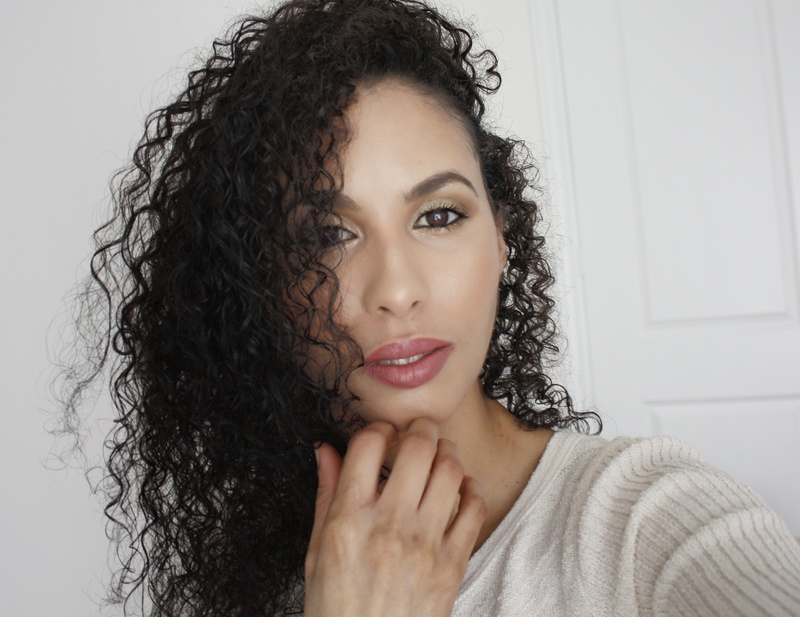 I have super curly hair; however there are so many different hair types and there is so much you can do with styling it that it does make sense why there are so many options. I’ve mentioned I’m pretty low maintenance when it comes to styling my curly hair. I basically co-wash and just let it air dry. But I do love trying new products. So today, I’ll share a few new releases from Kenra Professional. Kenra Professional just recently launched their New Platinum Snail Anti-Aging Collection, their Shaping Spray 21 and Platinum Heat Block Hairspray 22. So the Kenra Platinum Snail Collection consists of their Snail Anti-Aging Shampoo, Conditioner and 10-in-1 CC Crème. The Shampoo cleanses and leaves the hair feeling soft and naturally shiny. The conditioner is on the lighter side so it doesn’t make your hair feel greasy or weighed down. It doesn’t have as much slip as I personally would have liked but it does make my hair feel silky. Still because I have dry curly hair, I prefer a more moisturizing and thicker conditioner with a bit more slip to it. After shampooing and conditioning the hair as usual I used the Platinum Snail CC Crème from the mid-shaft to the ends of my hair. The Snail CC Creme is enriched with snail essence, a highly concentrated blend of proteins proven to awaken the youth in hair. This unique leave-in creme weightlessly restores and prolongs youth by fighting all 10 signs of aging hair as indicated above. This crème has really help with eliminating frizz and I like using this prior to my leave-in conditioner. This is very lightweight and leaves hair feeling very soft. Now on to the hairsprays – Because of my curly hair and also the fact that I do not use heat in my hair, I personally did not find that either of these hairsprays worked for me unfortunately. I believe it might just be the texture of my hair since it’s naturally curly and I’ve never found these types of sprays to work very well on my hair. However, I’ll give a brief description on both below. KENRA PLATINUM HEAT BLOCK SPRAY: This Heat Block Spray 22 is enriched with bee propolis, a natural resin that forms a cast around the cuticle for unparalleled heat protection. This multi-benefit, quick-drying, high hold spray allows for a clean release from styling tools. KENRA SHAPING SPRAY: Kenra introduces the 1st ever professional alcohol free hairspray. This revolutionary technology provides max moisture retention with an extra firm hold and high shine finish. Shaping Spray 21 is designed to have a wet application with optimal control and working time for endless styling options. You can find the entire Kenra line at ULTA Beauty. Have you tried any of Kenra’s hair products? *Powered by Brandbacker; however, all opinions stated are expressly my own.